Reflections is Bohemia Viva’s new music presentation of latin fusion that reflects upon the music that has inspired them from all cultures, languages and nations. Established in Argentina, Italy, Mexico, The USA and Canada, Bohemia Viva’s new show Reflections is a musical time capsule of songs and performance from many eras and styles. Performing in multi-languages from Spanish, English Italian, latin and Portuguese the show becomes a heart beat of life, laughter, love and fun. Let the songs and music tell the story as Bohemia Viva engages the audience to be part of the journey in Reflections. A bold selection of songs and with the infusion of various guitars and rhythms, Bohemia Viva harmonizes and blends voices and instruments to tantalize the audience to sing, dance and be part of the music. Even with many of the shows songs performed in various languages, the audiences are overwhelmed with enjoyment and emotions as Reflections is about all of us and how the music is a universal connection. 90 minute interactive presentation including a brief intermission. performance of music from many eras to original music composed and presented by Bohemia Viva. Stories of travel, cultural experiences and their Latin heritage weave a connection to audiences with vocals and music. lyrics of the Argentinian poet Carlos Moyano del Barco and music by Luis Lujan. 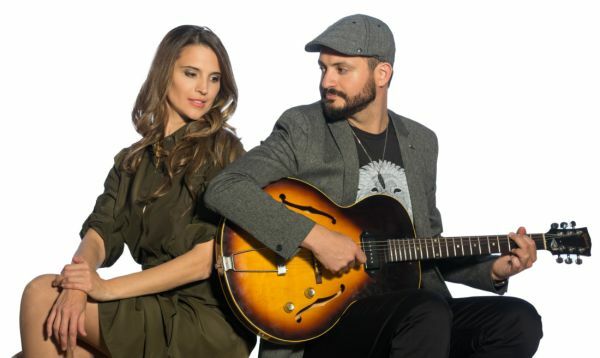 Performer and singer from Santa Fe, Argentina, Andrea started participating in several music projects at a young age, becoming acquainted with different music genres from Argentinian Tango music to American popular song. Andrea studied music at Veintidos de Noviembre School for four years and drama at the Liceo Municipal Miguel Flores where she also sang at the choir. Under the training of professional singing teachers she also had the opportunity to experience diverse stages as a soloist singer.